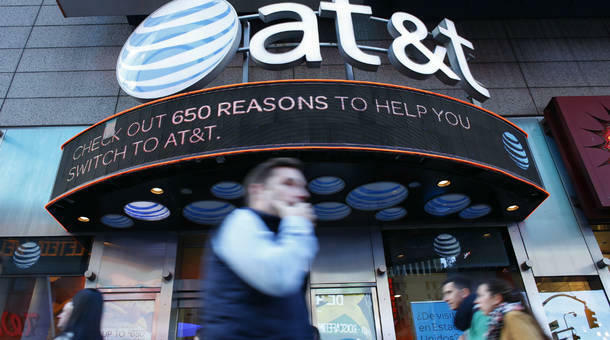 It became official over the weekend: AT&T wants to buy Time Warner for $85.4 billion. Time Warner's properties include Warner Bros. movie studio, HBO, CNN and DC Comics, among others. The deal between AT&T (a company that distributes content) and Time Warner (a company that makes content) echoes a trend already underway in the industry. "Content companies are getting into the distribution business , and there’s essentially a convergence already happening because of technology and streaming," said Gady Epstein, media editor at the Economist Magazine. "You have Amazon, you have Netflix, Hulu – these streaming services making content — and more of that will happen as the paid-TV bundle, the expensive bundle of cable channels, gets eroded as a business model, with younger consumers just going directly to internet services." But we won't be a part of that universe for a while, Epstein said. AT&T and Time Warner still gain substantial revenue from the paid-TV business. So how will this deal affect consumers? “The anti-trust regulators are going to be concerned about the ability of the distribution side to favor, well, their own content, and block out other providers,” said Erik Gordon, a professor at the University of Michigan's Ross School of Business. Questions raised about the fairness of this merger echo the ones surrounding network neutrality, namely whether internet service providers will end up favoring certain content over others. "That's a big problem. In fact, last year, the [Federal Communications Commission] set out its net neutrality rule. It turns out there are a lot of loopholes, there are a lot of ways of getting around it," Gordon said. "And, in fact, this merger might cause that rule to be revisited and tightened up." Classic Hollywood cinema may also offer some insight into anti-trust laws regarding the Time Warner-AT&T merger. AT&T's desire to buy Time Warner is a story of vertical integration, when a company owns the whole chain, soup to nuts. That sounds like the Golden Age of Hollywood, when the big studios were able to dominate after European film production shut down during World War I. By the early '30s, eight studios controlled roughly 80 percent of all the films being made throughout the world, said Steven J. Ross, a professor of history at the University of Southern California. Companies also had their own theaters where they were able to control what was shown, which changed after a Supreme Court ruling. “In 1948, in what’s called the Paramount Decision – the Supreme Court said that it was, in fact, a restraint of trade for studios to control production, distribution and exhibition. And so they basically forced Paramount to give up all its theaters. And that led all the other companies — MGM, Warner Brothers – to do the same," Ross said. "There's going to be a lot of close federal look at,the fact that this is, in a sense, going against an earlier Supreme Court decision, and I'm not sure how AT&T is going to finesse this, but I have a feeling they're going to run into a lot of anti-trust legislation."